2) Fill out all applicable information in the form. 3) Select the membership type you want to sign up for. 4) Select the payment method. 5) Non member select the FREE package and checkout. No need enter payment detail. 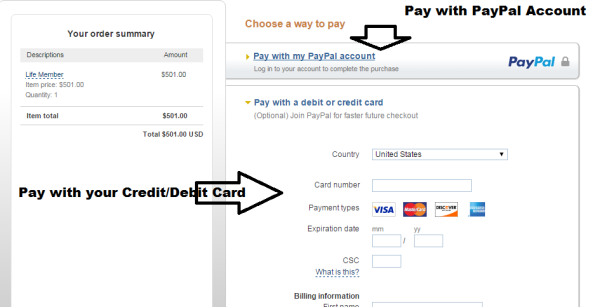 PayPal is most secured method of paying online. GMOCO will not have access or view of your financial information. It’s secured by PayPal. How to Reset or change default password ?